But once again, back by popular demand is the third installment of ‘Frontyard Sense/Backyard Science.’ Maybe not, maybe so, but due to popularity, this just might become a series. 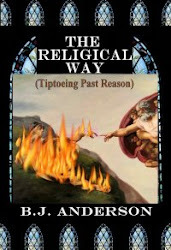 We’re going to be simple here without too much technical verbiage, but yet still give a good basic understanding of what transpires in the physics and chemistry of a firework’s firecracker. 1) A chemical compound or mixture that has been ignited by, or by combinations of heat, friction, sudden shock, impact or an electrical current. 2) Once ignited a very rapid decomposition of the original material ensues. 3) This in turn produces a tremendous amount of heat and an accompanying large amount of rapidly expanding gases from within a small confined point. 4) The resultant condition of overcoming the confining forces is a pulverizing, fracturing and displacement of the surrounding material. 5) An effective train of sound waves are ultimately transported outwards from the original point source in all directions through more distant media which also affects and impacts media structures whether it is solids or atmospheric gas. The concussion waves travel faster than the speed of sound (343.2m per second or 1,126ft per second) and that is why you hear the boom due to air rapidly displacing. Dependent upon type and amount of the original chemicals and their compaction, the effects of the rapidly expanding gases exert enough compressive force to rearrange metal or annihilate body parts. The streaming color in fireworks not only involves science, but is also a bit of artwork. For the science end, the ejected light, often colored, requires the use of incandescent and luminescent light. Incandescence is due to heat causing the object or substance it’s impacting to glow. Initially, incandescent radiated heat first produces infrared of the light spectrum, in which human eyes cannot detect. But if the substance has prolonged heat exposure making it hotter, light emitted from the spectrum reaches red. As it gets hotter the glow then reaches the range of orange then yellow and finally white as all colors of the spectrum are in play during the hottest point. Luminescence is not a by-product of heat and may be produced even below room temperature. Known as ‘cold light’ luminesced light derives from energy being absorbed by an electron of an atom, or even a molecule. The influx of energy causes the atom or molecule to become unstable elevating its ratio of held energy. Atoms, like us, don’t particularly like elevated levels of energy for too long a period, so in seeking a lower energy state (the couch), the atom releases the high energy. This released energy is in the form of a photon, thus producing luminescent light. 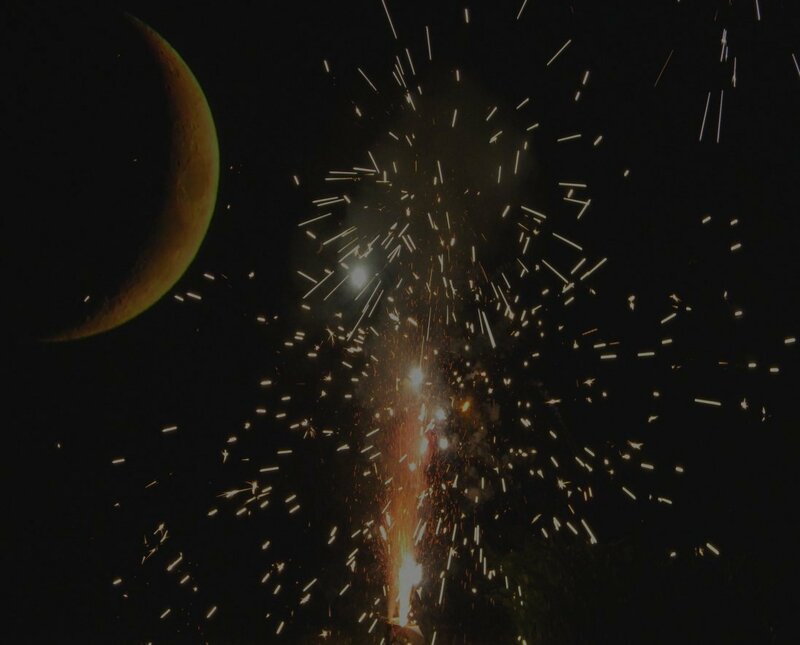 In fireworks, both light sources (heat/atomic energy state) are utilized to bring about certain effects. This is where art comes into play with the science of fireworks in controlling the glow of components and the introduction of material in a sequenced event. Charcoal is pert near the base of all incandescent firework strategies. It does not burn but emits stages of glows as it gets hotter. Controlling the temperature of charcoal affects glow intensity and thus manipulates the desired color effects. If hotter temperatures are needed, then metals such as aluminum, magnesium and titanium are utilized that do burn giving off higher intensities of white light. For more off colors such as maroon, or more intense coloration, metal salts are used. Salt is not just the ground white crystalline known as sodium chloride we use to sprinkle on food to enhance flavor. No, there are multiple salts and by proper definition, a salt is a compound formed by an acid with a base wherein the hydrogen of the acid has been replaced by a positively charged metal. This makes the positive metal side of the salt cationic and the negative base anionic, therefore making the whole compound ionic. When metallic salts are needed for a desired color, they may be unstable even at room temperature, so a buffer is incorporated. Barium sulfate by itself gives off a pretty green when luminescing, but is very unstable at room temperature. This is not good for fireworks, for you want the effect to occur during a timed performance, not while it’s in storage. This necessitates in having a buffer incorporated. For fireworks, barium is not combined with chlorine, but with chlorinated rubber. 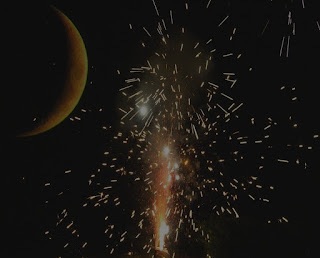 During spending of the firework, once it has been ignited for display, the rubber portion is burned off in a timing sequence that combines the barium and chlorine together forming barium chloride. But just at the moment of forming the compound, the temperature is way above its unstable room temperature, so therefore immediately decomposes producing the brilliant green at the precise moment the artist, who packed it and timed it to decompose. At the other end, copper chloride that gives off blue hues, is only unstable at higher temperatures and if this temperature is surpassed it will degrade the color performance. The artist in this instance, must control not only the timing for copper chloride to appear as blue, but must also control the temperature variable. If you would like to make your own homemade firework display during your next time at a campfire, use some of these metals or their compounds as finely ground or in powder form. They should not be too hard to acquire at a drugstore or hardware supply. By sprinkling a fingertip pinch-full of these into your fire you’ll get orange with calcium salts, blues with copper filings or copper sulfates, reds with lithium salts, green with barium carbonate and bright whites with aluminum glitter. Once upon a time as but a child, I really loved to take a bath in Mr. Bubbles, a soap bubble product. 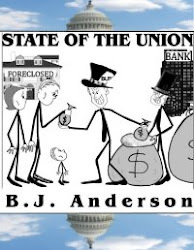 The old ad jingle I still remember went kind of like this: “He’ll bubble your nose, he’ll bubble your toes…Mr. Bubbles.” Anyway, sometimes it is nice to reminisce, but why did (and hopefully why does, as I think the product is still sold) Mr. Bubbles make the bathwater bubble away anyway? To answer that we’ll start with soap, for soap is what makes water sticky. For simplicity, we’ll limit soap as a product of saponifying a base with a fat. Soap is the end product of exactly what saponification does…reacting a fat with an alkali. Cleaning soaps are derived from the saponification of lipid containing fatty acid ester linkages (e.g. lye) that undergo hydrolysis (degradation of a chemical bond from the addition of water) with a strong base (e.g. sodium hydroxide). This alkaline hydrolysis gives each soap molecule a polarity that aligns anteriorly and a hydrocarbon arrangement that is aligned posteriorly. We all know that a molecule of water is made-up of one oxygen atom bonded to two hydrogen atoms. Hydrogen only has one electron where oxygen has eight. The two single hydrogen electrons like to reside from within the water molecule while the majority of the eight oxygen electrons hang out outside the perimeter on the opposite side of the hydrogen atom. This arrangement makes the hydrogen atoms positive and the oxygen atom negative, making a water molecule very polar unto itself and to other water molecules, where the negative side of one water molecule aligns with the positive side of another water molecule. In a glass of water this creates a constant tug and pull situation, with the water molecule being attracted to each and every one of its neighbors below, above and around it. With this constant attraction in all directions, the net result is no force is felt since all cancel each other out. This is a good thing, for without the constant polar forces applied in all directions cancelling out the whole net force, all the water in the glass would instantly vanish as vapor. This works quite well in your glass of water for it allows you to drink the water before it evaporates away. In the glass, this cancelled net force is applied throughout the water except for the molecules on the very surface. Without any water above the surfaced water molecules to fulfill the net force effect, at the surface is indeed where liquid water evaporation takes place. This is where soap takes over in filling that void to form the bubble in water. If you might recall the soap molecule has a polar and a hydrocarbon side. The polar end is hydrophilic in that it is water loving, so when a soap molecule meets a water molecule on the surface, they attract keeping the surface water from evaporating. You cannot create bubbles below surface due to the fact that the soap molecule cannot step in and replace the satisfied water molecules that are already attracted to one another. Soap molecules can only attract the surface water molecules with a so to speak naked side. The above process fulfills the need of water’s polarity, but it does not in itself shield it from the ambient environment. The hydrocarbon end of the soap though, does. Not liking water, the hydrocarbon side is hydrophobic and extends away from the water molecules forming a wall shielding the water. Picture if you will, a sandwich. For this bubble sandwich, you not only have one side of the soap molecule attaching to the water, but also on the other exposed side sandwiching the water molecules in between the soap molecules. Essentially, a bubble is formed as three layers, two exterior soap layers with water sandwiched in the middle. When you put a wand in a soap solution and gently pick it up, your bubble is already formed. Even though it appears flat within the wand, the three layers have taken effect. Then when you begin waving the wand and not too hard as to break the fragile walls of the exterior hydrophobic ends of the soap, you’re simply turning one of the exterior soap sides into an interior one as outside air begins pushing it inward. A bubble shape begins forming into a sphere due to the fact that a sphere, more so than any other configuration, minimizes surface area while maintaining the most volume. A sphere also requires the least amount of energy to form. This is very important to a very fragile structure such as a bubble and allows outside atmospheric pressures to exert evenly in all directions of the bubble’s surface. Bubbles don’t always remain a sphere especially in close proximity to one another. When two bubbles merge of equal size, the two walls meeting will flatten and merge forming one wall, which again further minimizes surface area. 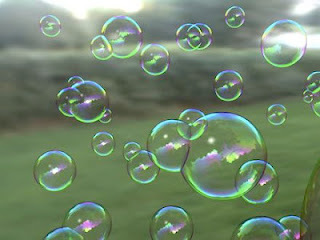 Bubbles of different sizes when meeting will experience the smaller one bulging into the bigger bubble. Bubble’s meeting walls when stacked or in foam, form 120° angles and within this matrix the angled walls begin forming hexagons. You can see this by imprinting colored bubbles onto paper and make a bit of artwork in the process. i. Pour a color of the paint powder into a plate and another color into another plate and so on. ii. Pour a little bit of the bubble solution onto the paint and stir in mixing the two items together. You want the mix to be thick, but not too thick as too much paint will make a bubble too heavy to form. 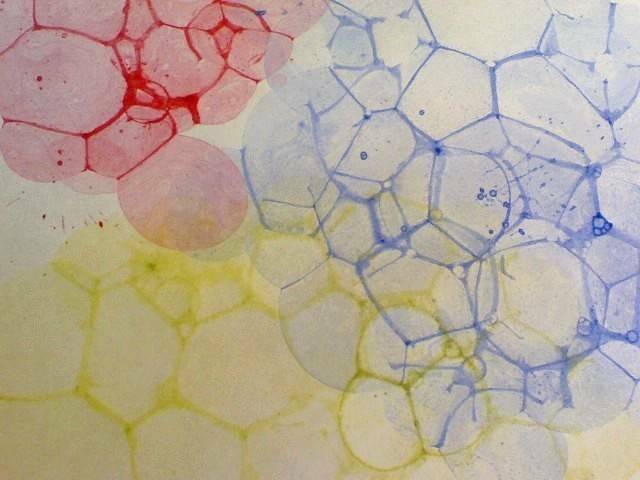 Repeat this procedure with each plate filled with the varying colorant powders. iii. Put a straw end into the mixture and begin blowing through the straw to start forming bubbles. v. Repeat this for the other plates holding the mixtures. To make some really serious big bubbles here is a bubble recipe along with the materials needed. Take the twine and tie a circle with it around the tips of the rods or poles. This is your wand. Make sure that the twine is cotton, for it will absorb the solution as opposed to nylon which will break the solution’s hold. i. Mix 1 ½ gallons of water with 25 ounces of blue Dawn dish wash.
ii. Premix ½ gallon of water with 8 ounces of glycerin or karo syrup. iii. Slowly but thoroughly mix the two solutions together. Once the ingredients are fully mixed in the container, it’s preferable to find a shallow container with a large surface area. I use the top of a plastic clothes hamper. In case you might be wondering about the glycerin or karo syrup, these items hydrogen bond to the water strengthening the bubble walls and extends the bubble’s moment by further slowing down evaporation. Dip the circled twine into the solution let it soak a bit then gently pull out and begin spreading the circle to its full circumference and start waving out big bubbles. You might have to do a bit of experimenting with your solution and using distilled water is usually best because it has no impurities. Keep your solution as clean as possible for any debris will pop the bubble’s surface. Lastly, to make bubbles float in suspension, place a baking glass plate in an empty 10 gallon or 38 liter fish tank in an area of no drafts. Thoroughly mix 125ml or ½ cup of baking soda with 250ml or 1 cup of vinegar in the baking glass then do not disturb. Once all the fizzing is over with get your bubble solution and wand out and blow bubbles over the opening of the tank where they will sink down into it and watch what happens. What happens is that the bubbles should stay suspended above the bottom of the fish tank, whereas anywhere else outside of the tank, the bubbles would lower until popping on the floor or ground. The reason being for the suspension is that once the vinegar (acetic acid) fully reacted with the baking soda (a calcium bicarbonate base) carbon dioxide was produced. Being heavier than atmospheric air, the carbon dioxide formed a layer on the tank bottom buffering the bubbles from reaching the bottom. The thin bubble film’s weight is very negligible, but enough to make it gently float down to the ground in atmospheric air and pop. 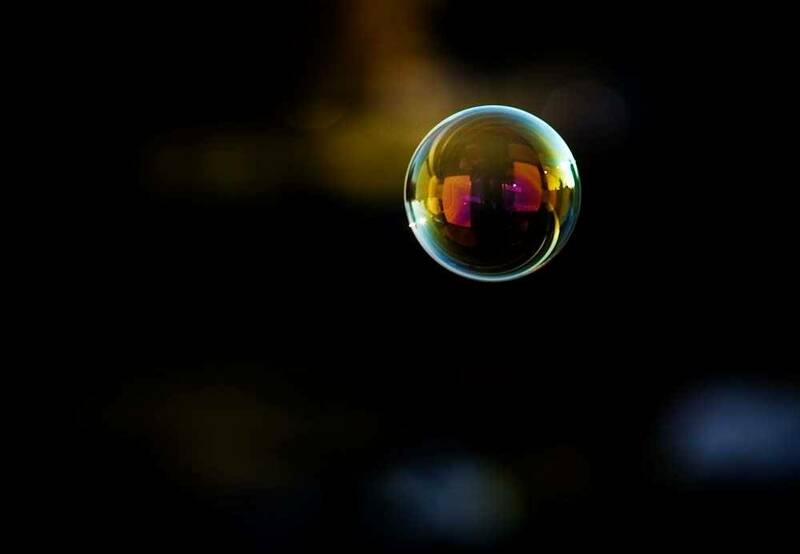 Carbon dioxide is much heavier than the bubble’s film and atmospheric air it is holding inside, therefore the bubble is held up in suspension by the gas until eventually the carbon dioxide layer becomes saturated with atmospheric air and down goes the bubble. From childhood to an adult, most all of us have encountered an isopod, but chances are we still don’t rightly know what they really are. Right now you could go into your backyard and overturn a stone or piece of board that’s been laying around awhile and spot one or two or many more. Dating back to the Carboniferous in the fossil record, they have been around for 300 million years. Today, members from the order Isopoda can virtually be found in any environment with ~ 500 freshwater species and ~ 4,500 marine species. But as far as the terrestrial members go, the one’s we are going to discuss here, they are without a doubt the most successful crustaceans with ~ 5,000 species. The subphylum Crustacea, along with isopods, includes many aquatic animals that we are not only familiar with, but know very well such as crabs, lobsters, shrimp, barnacles and crayfish. Crustaceans, along with insects and spiders are all grouped in the phylum Arthropoda. Though crustaceans share many similarities such as possessing an exoskeleton and a segmented body, they primarily differ from insects and spiders in having a procession of biramous (two-parted) limbs for locomotion. Known as biphasic moulting, crustaceans also rid their exoskeleton in two phases instead of one where the back half is first shed, then the front half 2-3 days later. In addition, crustaceans also exhibit a mancae form of larval development that we will elaborate on later. 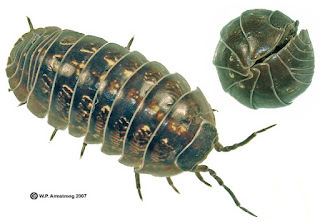 What animals we are going to highlight on from now on are what we commonly call sow bugs, pill bugs and the woodlouse, but collectively are known as woodlice. Growing up in Texas, we called pill bugs ‘roly-poly bugs.’ Even though these animals are strictly terrestrial, their past is linked to watery origins as evidenced by obvious reasons if you observe close enough. Like their aquatic cousins, woodlice do have a hard shelled carapace such as crabs, but it is reduced and limited to the head region known as the cephalic shield. These animals do not have lungs as humans do, nor even a tracheal tract system like insects to exchange spent body gases for oxygen. Their mode of breathing has not extensively evolved and is the same as their aquatic ancestors. Terrestrial isopods still breathe with gills. In order to utilize gills for a terrestrial existence though, they are limited to moist terrain since gills only work with water. But they don’t require big bodies of water or even a mud puddle, all they need is moisture. That is why in the middle of a hot summer day you will not see them running around on a hot pavement void of moisture on the ground or in the air. In the middle of the day they are concealed from direct sunlight having sought out humid environs for moisture such as underneath a rotting log or damp basement. At night though when conditions are favorable to collect moisture, you may see them scampering about in the open. The modified gills known as pleopods are located on the posterior underside of the body. To achieve the requirements of pleopod respiration, these critters are always seeking out an area very high in moisture, but it appears that this does not limit their range of geographical and climatic environments. In the isopod family Agnaridae, the species Hemilepistus reaumuri is found only in the deserts of North Africa and the Middle East. 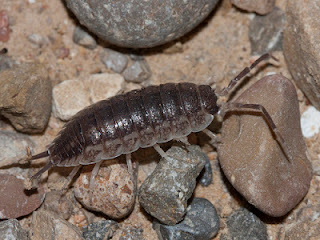 This woodlouse obtains its moisture from burrowing in sand that has trapped moisture or from the desert night air that cools off and forms dew. As odd as this is for a water dependent crustacean to succeed in deserts, it does explain how adults might survive, but it doesn’t satisfy how larval stages could survive in very arid regions. In addition to adapting with survival strategies on where to obtain moisture, this woodlouse also survives harsh arid conditions due to the development of parental care within a family. H. reaumuri adults dig out breeding and nursery chambers where family members can only enter identified by specific pheromones. Intruders are treated as outcasts and are chased away. There in the moist laden dens, the monogamous parents along with adult family members tend to the moisture requirements of their larvae. Without doubt, this woodlouse has conquered the driest habitat of any crustacean. Pill bugs of the Armadillidiidae family are the only woodlice capable of rolling up into a ball, but as well, are the only woodlice that do not possess uropods. These appendages are located posteriorly and may be confused as tails or a pair of legs. Uropods act as swimmerets in aquatic isopods. For terrestrial woodlice that function is useless, so woodlice that possess uropods utilize them by forming a tube and picking up water to transfer to and coat their pleopods (gills) once their sensitive humidity seeking scanners have found a moisture source. Females carry their fertilized eggs underneath the body in a marsupium until they hatch as mancae resembling immature white adults minus the last pair of thoracic legs. Females may also reproduce asexually as well. While a few have sixteen, most terrestrial isopods have fourteen legs as paired on each segmented side. In the early nineties a study was conducted and its results revealed that woodlice travel surprisingly fast. One leg stepped sixteen times per second. Adding all fourteen legs that is 224 steps per second. In comparison, the fastest human alive running 100 meters in 9.8 seconds takes only 33.66 steps per second. In addition to mobility, legs also hold the woodlouse’s meals. Although it is usually with the first pair of legs, all legs may be used at one time or another. Much like earthworms, most woodlice are detrivores eating decomposing or injured plant material where their feces enrich the soil. Some prefer fresh meat and are carnivorous consuming small invertebrates and even other isopods. In the family Platyarthridae, the woodlouse species Platyarthrus hoffmannseggi lives only within ant nests. Living a subterranean existence, eyesight has gone and all pigmentation has been lost making the woodlouse appear white. This woodlouse, in a symbiotic relationship is tolerated by ant species, such as in the ant genera Lasius and Myrmica because the woodlouse housekeeps by feeding on mildew and ant feces. Few predators of invertebrates attempt to eat woodlice for they possess rear-end glands that produce and spray obnoxious and irritating chemicals. But, the spider Dysdera crocata feeds exclusively on woodlice and the scorpion Scorpio maurus is a major predator of Hemilepistus reaumuri. Unlike the palatable marine crustaceans humans relish such as shrimp, crab and lobster, the taste of woodlice has been compared to the taste of not only urine, but strong urine. To end on isopods here, it might be nice to mention and append with a terrestrial isopods’ aquatic relative. Cymothoa is a genus of parasitic isopods, but Cymothoa exigua is the only member to behave in such a bizarre manner that it is the only organism known to replace an organ of another organism. This marine isopod species’ female when caught up to any member of eight fish species (seven species of Perciformes and one species of Atherinidae), will crawl through the gills entering the mouth and begin extracting blood from the fishes’ tongue with its front claws. This atrophies the tongue and once it has fully withered, the isopod will anchor itself to the tongue stub by literally attaching itself to the muscles leftover at the base. In effect, it becomes the fishes’ new tongue behaving in the same manner as controlled by the fish for tongue function. In its new home, the isopod feeds off the host’s blood and mucus material. Fish caught and sold for human consumption have actually had the parasite still in place lodged as the fishes’ tongue. So the next time you purchase a fish to eat, you might first want to check out the mouthparts, before being surprised. Biofilms are more than a collective culture or even communities; they are societies of microbial organisms. In fact they’re even more than simply societal, for they can be diverse metropolises with the intricacies of well laid plans in protection, travel, food production, waste disposal and social networking. During your adventurous moments when taking a hike through the woods and coming across a pond with scum floating on it or experience the slippery slime on the pebbles and rocks lining the banks of a small creek that almost made you fall…did you ever ponder what that just might be? How about just raking your tongue across your teeth feeling a slippery mucous that wasn’t there earlier after just brushing your teeth…has that ever made you ponder in what’s going on? The above are examples of biofilms constructed mostly by bacteria. A biofilm may be composed entirely of one specific microorganism such as bacteria and even can be an organism belonging to a single species. Or, it may house an array of microorganisms conjoining bacteria, archaea, protozoans, single-celled fungi and unicellular algae into cooperative communities. The basic requirement is access to a water source as either submerged, floating on the surface or exposed to wet conditions from over spray or high humidity. Though more biofilms flourish in warm environments, a temperature range is not a necessity as they are found in hot springs with temperatures as high as 93 °C/199 °F and clinging to frigid glaciers. In acidic or alkaline conditions, biofilms are there. In oxygenated or anoxic environments, biofilms can thrive. 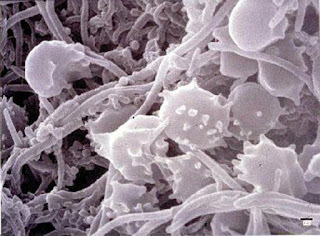 Biofilms even grow in the mouths of animals that of course include humans. The films are a major bacterial behavior. We all tend to think of bacteria as planktonic in that they are independent individuals moving about freely in a medium. But to an individual bacteria or any microbe, the biofilm lifestyle gives many advantages and in particular leads to a more stress free survival. 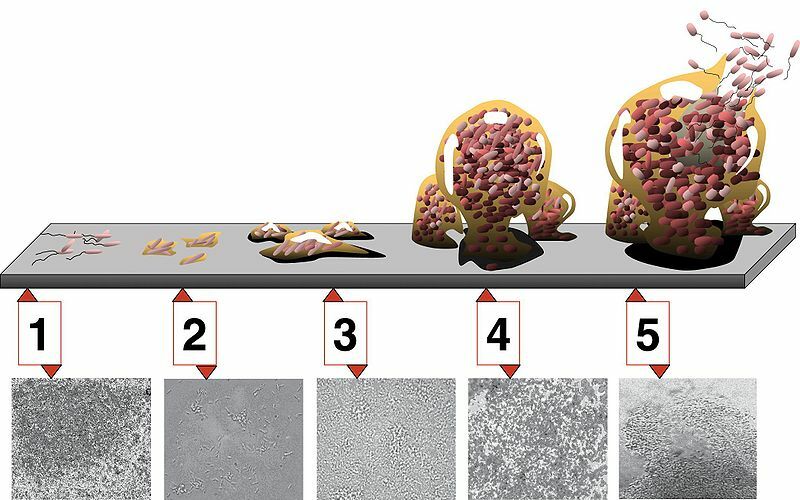 Forming a biofilm is a staged event. First off, a few planktonic bacteria land on a solid surface and manage to adhere and stay put. Through molecular cues, these bacteria signal and communicate to one another that this site would be a great place to build their little community into a biofilm society. Once they all agree, this cell-cell communication in association with the accumulating molecule signaling begins regulating the microbes’ gene transcription. This induces the bacteria to begin producing a polymeric conglomeration of extracellular DNA, polysaccharides and proteins. This conglomeration is what we refer to as slime, but scientists like to call it ‘extracellular polymeric substance’ (EPS). So in fact, biofilms are not simply the collection of single celled microbes, but a non-living cell structure produced by the microbes that the microbes house in. When microbial cells switch to a biofilm behavior their phenotype characteristics also change. The free living planktonic stage of survival strategies leaves, replaced by a biofilm mode of growth, so more biofilm production ensues. Meanwhile as the biofilm is under construction, more microbes anchor in, begin communication and begin aiding in the construction. At this stage, the microbes are permanently in place. Once the biofilm is fully developed with all the plumbing and electrical works in place so to speak, full establishment has been achieved and quorum sensing halts further development. At this stage only size and shape change, for the functions of the film are fully in place to serve the microbial society. By now, even the physiological state of the microbes within the biofilm is distinct from the same planktonic species located outside of the biofilm. As in man, the law applies to microbes equally and that is large societies behave differently from the small tribes of the same species. In a mature biofilm, openings to the outside are produced formed from enzymes that attack the biofilm matrix releasing and dispersing some biofilm cells with microbes traveling within as passengers. This dispersion colonizes new surfaces. In a sense biofilms act as one living organism developing, maturing and dispersing to replicate or reproduce itself. Through the eyes of man’s perspective, biofilms may be beneficial or harmful. 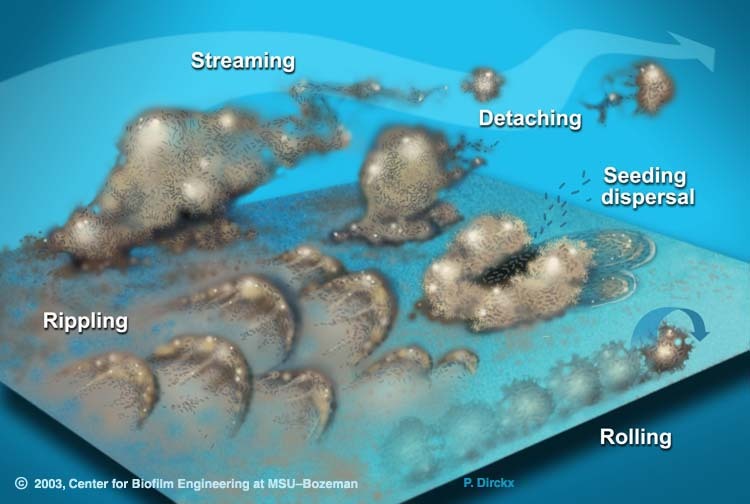 Some biofilms do break down contaminants polluting land and water. 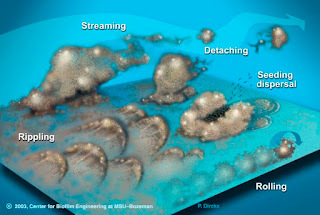 Microbial biofilms that can eliminate petroleum through hydrocarbon degradation as hydrocarbonoclastic bacteria films do, have been incorporated successfully to clean-up man’s careless oil spills. Biofilms are currently being used as microbial fuel cells to generate electricity. The measure of dissolved oxygen needed by microbial organisms to break down organic matter in biochemical oxidation demands (BOD) of wastewater treatment plants is harnessed by flowing the wastewater through filters coated with biofilms. 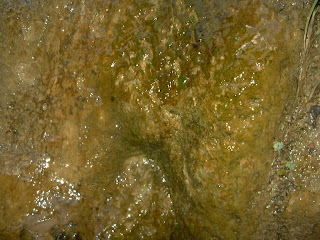 Many river biofilms are a source of food for invertebrates, which in turn are a source of food for fish. Perhaps though, more problems with biofilms exist that overrides the good we perceive the films to be. 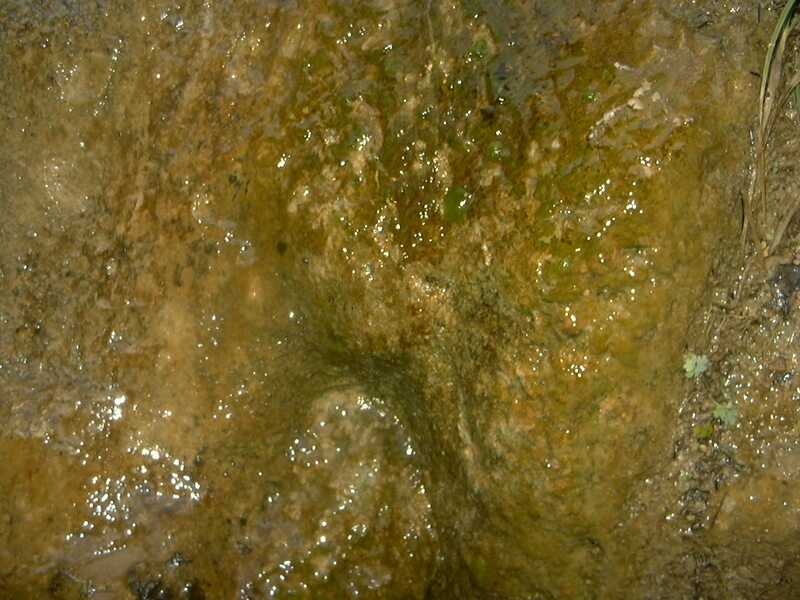 Biofilms clog many pipeline systems. A minimum of 20% of all metal corrosion is due to biofilms as the film etches into the metal creating weak sites for other corrosive effects to set hold. Film adhesion to the hulls of ships sets up sites for other animals like barnacles to also attach and adhere to biofouling the vessel. This can slow the seagoing vessel by 20% adding to fuel costs and loss of time due to the slower speed and dry docking for cleaning and extraction of all the biofoul. Plaque leads to dental caries (rotten teeth) and some of the most resistant bacteria to antibiotics are not the bacteria themselves, but of the ones sheltered within biofilms. Most of the chronic and acute sinus infections are due to bacterial biofilms that protect and shield the bacterium from medications. They almost have to be physically scraped out. 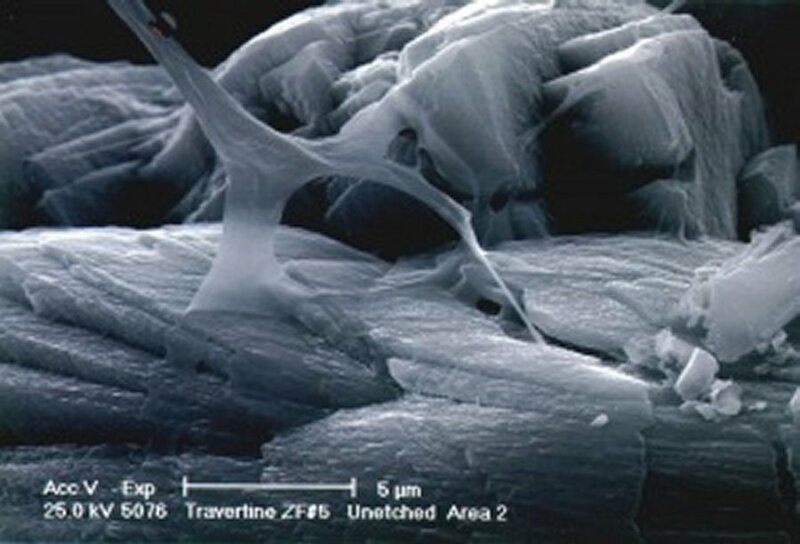 Biofilms also infect surgical tools and biomedical devices inserted into people such as stints or artificial joints. As mentioned, biofilms do take in contaminated pollutants but it can be more of a cyclic event rather than filtered decomposition. For instance, in the mining lands of Montana, some streams have become heavily polluted with zinc. It was found that biofilms made-up of bacteria, fungi, diatoms and single-celled alga absorbed and took in the zinc contaminants during daylight, but only to release it during night time making the metal more concentrated and toxic. Invertebrates such as worms and snails that fed on the biofilm during the day were impacted by the biofilms absorption of zinc in which fish would then later feed on the invertebrates ingesting the metal. The more concentrated levels the biofilm released at night immediately impacted fauna just downstream. One thing is assured, as much as some don’t like slime to begin with, no matter how much we do battle, biofilms are going to find new routes over our detours to thrive another day. If one were on a sojourn traveling the world, as that one headed to the far reaches of northern climes, or straight up into mountainous elevations, he or she would drastically have to change their behaviors and lifestyles if they wanted to survive the cold trek. With mankind included, nature has a way of tending to its responsibilities of its specie subjects through natural selection. Natural selection bests the strategies of survival in species giving that species the ability to manage its environment. Even though mankind today is of one species, the ones surviving the rigors of extreme altitude cold have changed from the rest in adapting to a cold and hypoxic environment. Colonization of indigenous people from the high Tibetan Himalayan highlands, the East African plateau of Ethiopia and the Andes of South America are a testament to natural selection’s successful effects actively played out on a species. These people adapted to high elevation environment stresses not through physical conditioning, but biologically. In high elevations, in addition to more extreme constant cold, there is a severe drop in barometric pressure and oxygen levels in the atmosphere. One who has lived his or her whole life near sea level would have a hard time if they moved to these increased altitudes. A steady uninterrupted supply of oxygen is required for mitochondrial stable regulation. For every breath taking in less oxygen and to boot lower atmospheric pressures causing internal bodily gases to expand and bubble out of body fluids, the sea level flatlander most likely would contract the condition of hypobaric hypoxia and possibly die. The reason the Tibetans, Ethiopians and Andeans do not fall ill to this chronic condition is because they have evolved higher arterial oxygen content and pressure stability phenotypes. Hemoglobin (oxygen transport portion of blood) concentration may quantitatively vary among these three groups of people, but their higher abilities to saturate hemoglobin with oxygen shows significant heritability. Indigenous women with high oxygen saturation genotypes give birth to children that are more likely to see adulthood than those women with much lower oxygen level genotypes. Natural selection favors the women with higher oxygen genotypes in high elevations, therefore increasing the frequency of high saturation allele groups in the gene locus. Natural selection has no favorites in species and dutifully plays out its role throughout the animal world. Besides man, other animals that have conquered the extremes of altitudes and frigid climes have also successfully been touched by natural selection to adapt and succeed in these conditions. One of these evolving strategies is reproduction, which is the topic we are going to expound on. Frogs, salamanders, lizards and snakes are all animals we normally think of as egg layers and for good reason, for the vast majority in our backyards are. The greater portion of herpetological animals are oviparous (egg layer), but there are amphibians and reptiles just like us that give birth to live young after being maternally nurtured in an embryonic state. Animals that give birth to a fetus are considered viviparous. Other forms of female gestation we are not going to discuss are ovoviviparous where eggs are retained within the female then hatch and appear as live births and parthenogenesis where the female lays an unfertilized egg which inevitably hatches as a female. If one breaks down overall higher oviparity ratios versus lower viviparous ratios, herpetological animals by way of higher altitudinal and or latitudinal distributions, see the majority switch to viviparity. In North America, all squamates (lizards and snakes) living between latitudes 25-30 °N, the percent oviparous is at 73.6%, while viviparous squamates are only 26.4% of the populace. But at the higher latitudes between 55-60 °N, squamates are 100% viviparous. In elevation, Mexico also shows the same trend with squamates showing only 19.4% viviparity at 0-250 foot/0-75.75 meter elevations, but at 2000-2250 feet/606-682 meters, viviparity is 100% in that elevation range. As always, there are discrepancies as exceptions to the rules. For instance Michigan, a lot higher latitude state than Alabama has a lesser percentile of viviparous squamates as opposed to oviparous representatives than Alabama. But in general, whether it be Australia, the Orient or Europe, higher elevation and latitudinal squamates show more tendency in being viviparous. One could argue I suppose that this might simply be a result of already viviparous squamates having more success in more extreme colder climes than egg layers. Further, one could state due to egg exposures to lower temperatures create higher motality rates as opposed to a fetus being retained in a mother that moves to more ideal areas for temperature stability. So let’s pick a few subjects, elaborate on them and come to our own conclusions. Believe it or not, all frogs do not lay eggs in water, for there are many strategies where some frog species lay eggs on moist land, in generated foam on land, or on the undersides of leaves attached to overhanging limbs whereupon hatching the larvae drop into the water below. Some species keep the eggs and developing larvae on or in body parts, while some are ovoviviparous and even some that are viviparous. Can you guess where the ones that are truly viviparous are distributed? That’s right, in higher elevations and latitudes. In the mountainous cloud forests of Puerto Rico at 2,590.5 feet/ 785 meters, the recently extinct golden coqui (Eleutherodactylus jasper) was the only member of its family Leptotactylidae to be viviparous possessing oviducts that supported a fetus and the only member of its genus to give live birth. 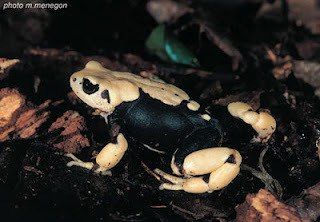 Belonging to the Bufonidae family in the true toad genus Nectophrynoides, out of its fifteen or so known members, three are truly viviparous with direct development of its young in uteri. The rest, with a tadpole larval stage inside the female have no egg yolk, but no placenta either for fetus nourishment, so it can be argued they are ovoviviparous. Nourishment from these species probably derives from uterine fluids and oxygen is exchanged from the tadpole tails. 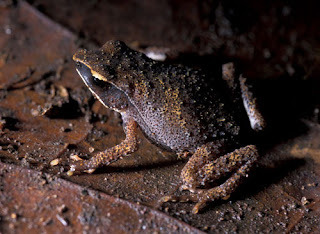 The group of viviparous toads, hail from the montane forests of the Eastern Arc in Africa. All species of Nectophrynoides are endemic and limited to elevations of 300-1800 meters/990-5,940 feet. The truly viviparous toads, N. tornieri, N. windyae and N.viviparous show that females develop ovarian hormones, such as progesterone preparing the genital tract for and during pregnancy. The closest relative to Nectophrynoides members are species of the genus, Altiphyrnoides that are so close in relations that the genus members were once listed under Nectophyrnoides. The only major difference is that Altiphrynoides are oviparous and inhabit the highlands of Ethiopia. If you do further reading on these amazing toads, you’ll find out there is much confusion over whether certain members of Nectophrynoides are ovoviviparous or truly viviparous. But whether they are or not, let’s just look at ovoviviparous species as an intermediate evolvement transition from the egg laying Altiphrynoides to the true viviparous Nectophyrnoides species. 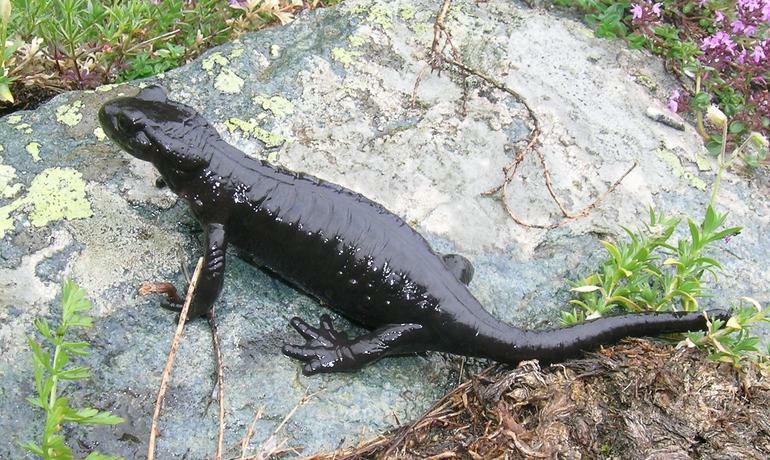 Salamandra atra and the very similar in physiology, morphology and genetics, Salamandra lanzai are found only in the high elevations of the Monvisso Massif in the Cottian portion of the European Alps between altitudes of 1300-2020 meters/4290-6666 feet. Usually S. lanzai lives in the upper half of the range while S. atra resides in the lower, but both have been observed as high as 2800 meters/9240 feet. Never requiring bodies of water at any stage in life, these two salamanders are viviparous where one embryo develops in each of the two uteri of the impregnated female. The fetuses develop extremely long gills for respiration inside the mother’s womb feeding first off of fertilized ova, then later on unfertilized ova. In the final stages, there is a zona trophica development between the oviduct and uterus that continually provides the latter staged fetus with cellular material to feed on. The gestation period is extremely long at two years in the lower elevations and up to three years in the higher ranges. The four other Salamandra species that live in lower elevations are considered viviparous, but lecitotrophically so, in that at the moment the larvae hatch from the eggs still inside the female, they then are born and deposited in waterways by the female to further develop. This is a start for full viviparity, but not quite to the extent the two species in the high Alps take it to. 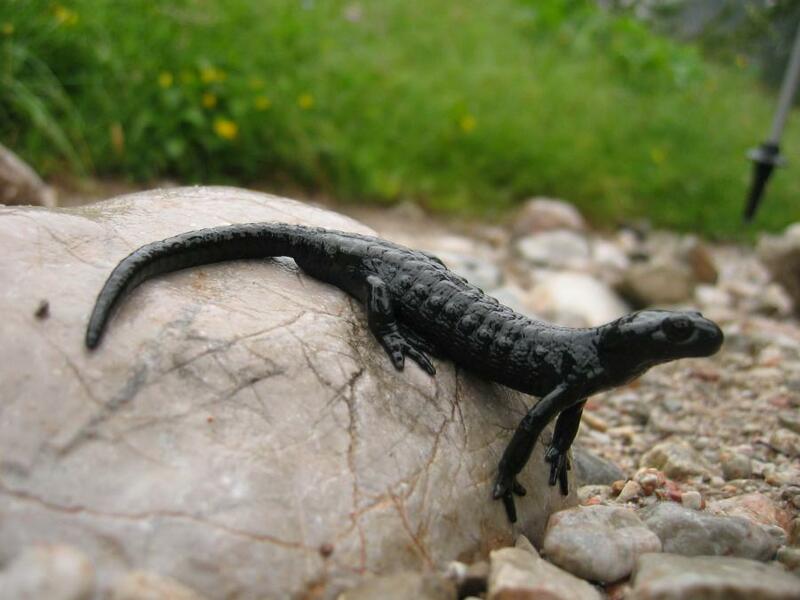 The Eurasian lizard Zootoca vivipara is aptly named the viviparous or common lizard, for it gives live birth to fully formed young and is common everywhere throughout its range from 3000 meters/9900 feet up to beyond the Arctic Circle. The young are born encased in the egg sac. The southern populations at lower altitudes of the same species however, are egg layers. In the mating ritual, whether viviparous or oviparous, the male will gingerly pick up the female in his jaws just prior to mating, but if the female is not receptive, she will fiercely turn on him and inflict severe bites. The fossil record details that this lizard first evolved in its current southern range as oviparous, then radiated out, where once reaching higher altitudes and more northerly latitudes, adapted to giving live birth. Individuals that are viviparous and oviparous may interbreed resulting in hybridized young, but with embryonic malformation. Why is every nut sold in its shell, but one…the cashew? Well actually because a cashew is technically not a nut but a seed. The cashew extends from the opposite end on a fruit from where the fruit is attached to a limb of the cashew shrub and is encased in a leathery hull much like the hull of a pumpkin or sunflower seed. Why does coca-cola burn the throat more than root beer? It all has to do with carbonation and amount. The throat burn is due to the carbon dioxide hydrating into your body fluids creating a weak solution of carbonic acid. Coke products have around 3.5% volume of the dissolved carbon dioxide gas where root beer is less at 3.00%. Root beer can still burn though if drunk too fast. If you want to get rid of all the carbonation, immediately poor a warm carbonated cola drink from its container into an ice filled glass. The sudden extreme change in temperature will flatten the beverage, for quick changes in temperature variables effervesce dissolved gases in a liquid.